I wanted to share everything that I got with you all and I couldn’t wait for that. So lets get started!! 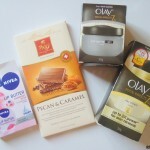 I will start with the beauty products I got! 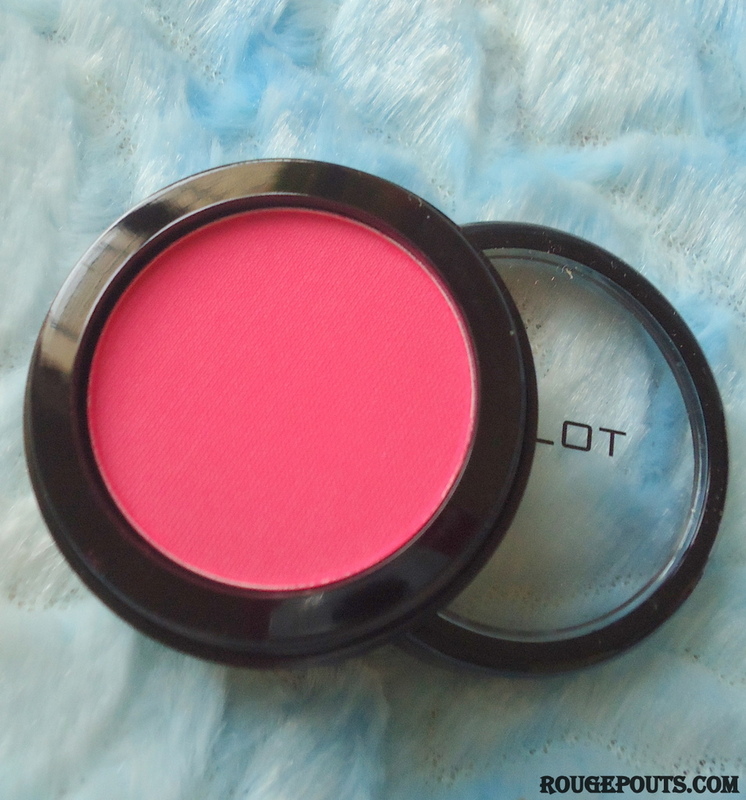 I got this beautiful single matte Inglot eyeshadow in the shade # 382. 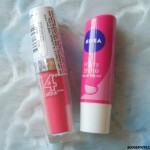 Its a beautiful pink color which I could use in some spring summer make up looks!! Huge Summer Beauty, Skin Care, Footwear and Clothing Haul!! 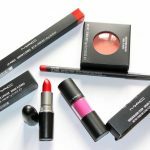 I’ve been waiting to get these matte lips balms from Revlon for so long!!!! OMG!! I love them so much!!!! 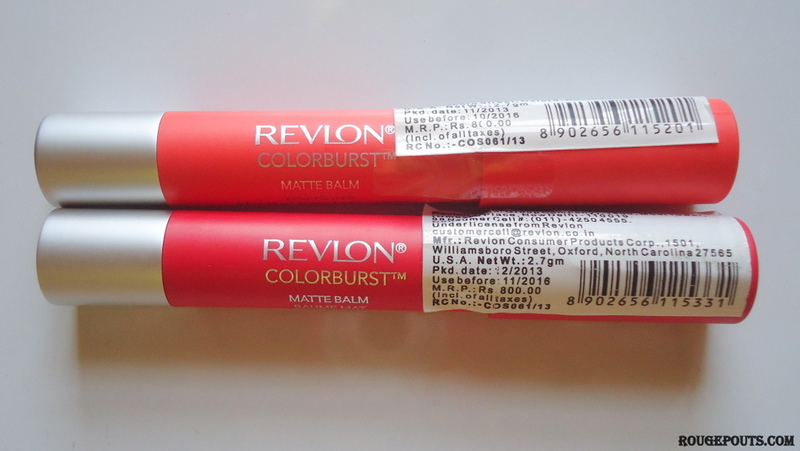 I got two Revlon Colorburst Matte Balm in the shades – Striking (240) and Audacious (245). 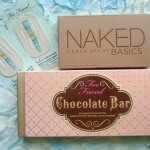 Will try and review them very soon! 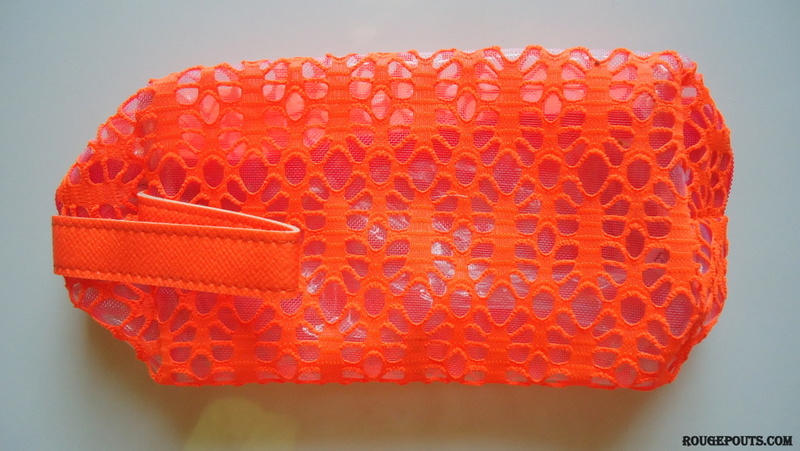 On purchasing the above two matte balms from Revlon, I got this make up pouch free as a part of an ongoing offer!! Its not a great quality but I love the color and it will certainly of some use for some time. 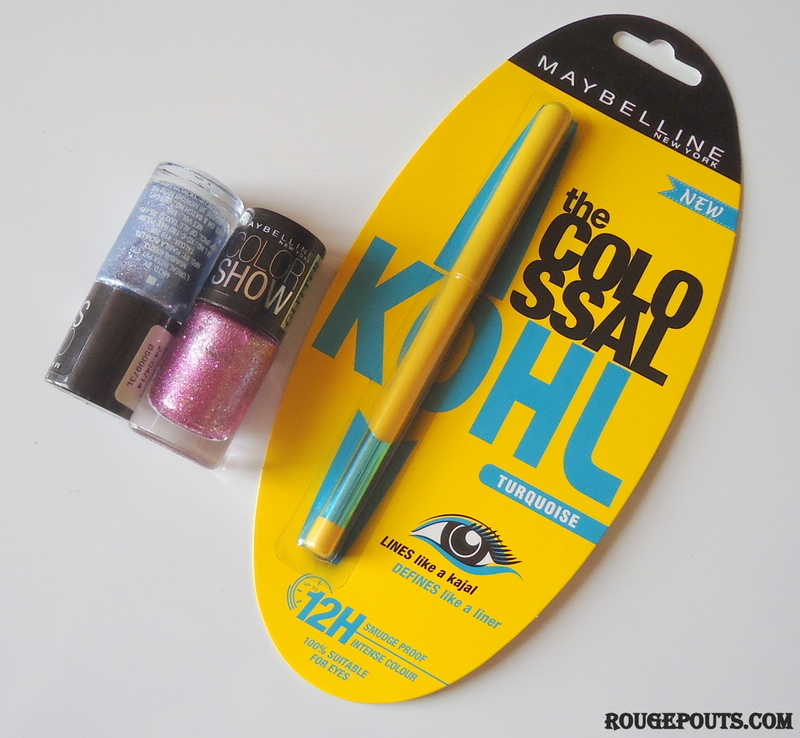 I also got the new Maybelline New York The Colossal Kohl Turquoise. 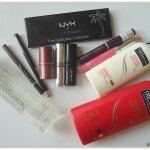 I was eyeing it since it was launched and finally I got it!! Review will be coming soon! 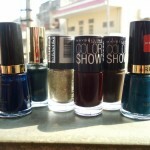 Another range Maybelline launched is the Maybelline New York Color Show Glitter Mania nail paints! I wasn’t really very excited about them until I swatched some at the counter!! I loved the way they looked. 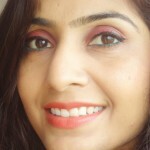 I got them in two shades – Bling On the Blue (608) and Matinee Mauve (605). 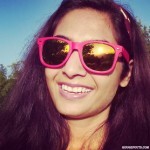 I will now wear them and see how they perform and I think I am going to get some more shades!! 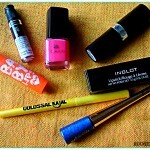 I also got the Maybelline Color Show nail paint in the shade Orange Fix (214). Its a beautiful pastel like orange color!! 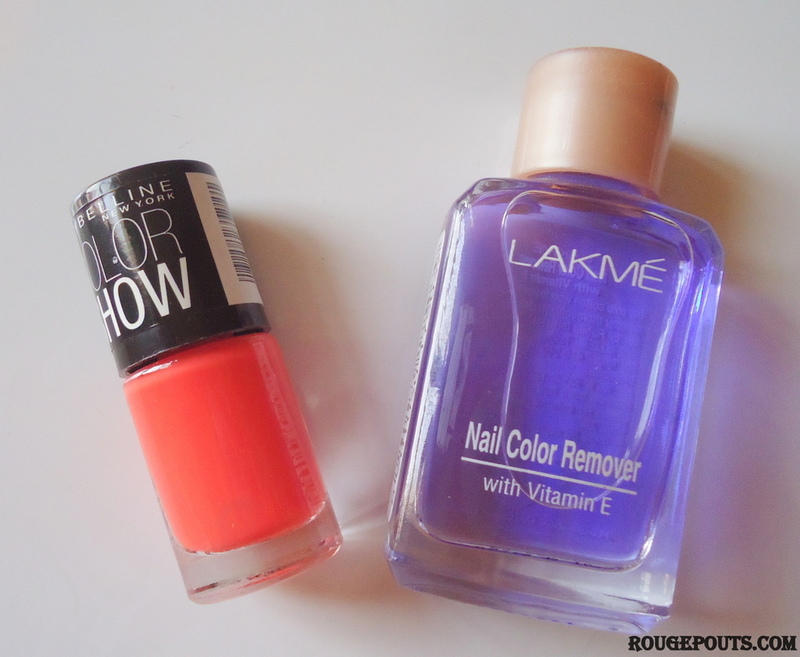 I ran out of my previous nail paint remover, so I got the one from Lakme. 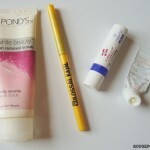 I have tried nail paint removers from Faces and one more brand I can’t remember, but they didn’t work quite effectively. 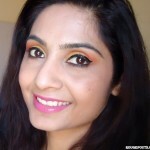 I knew the one from Lakme works well. I will try other removers too, once I go through this. 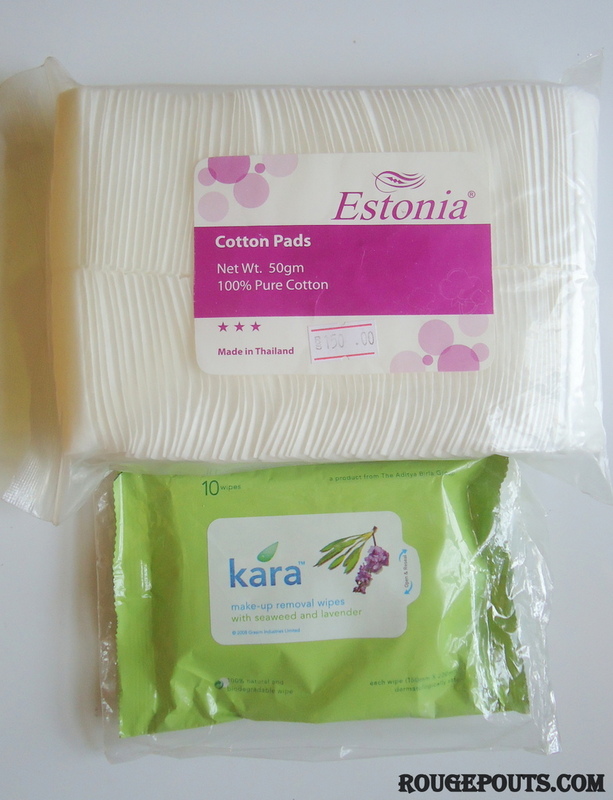 I was also running out of my cotton pads for the face, so I got another pack of it and this time its from Estonia. Never heard of it, but still I believe they are good! My make up removal wipes were also about to finish so I got another pack of Kara Make Up Removal Wipes with seaweed and Lavender. I could not find the full sized pack of it in that store, so I grabbed the one that was available with 10 wipes. 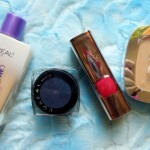 Sometimes I feel I am face wash fanatic! 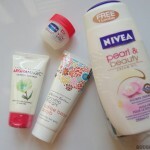 I keep getting new and different packs of facewash just to try them out! So this time I got two, first one is the Olay Clarity Fresh Cleanser for Oily/Combination skin. The other face wash I got is the Clean & Clear Deep Action Oil Control Face Wash. 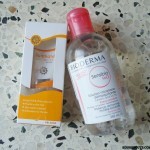 Both the face washes are for combination to oily skin and that’s what I wanted for the summers and the upcoming monsoon season, to control the greasiness these weathers gives me. This is the second time I got the next item. It was long ago when I got it the first time. 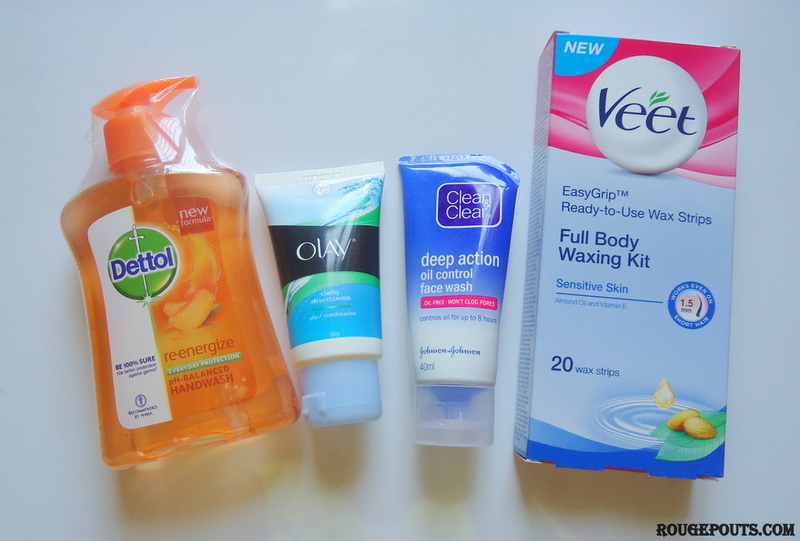 Its Veet Full Body Waxing Kit for Sensitive Skin. 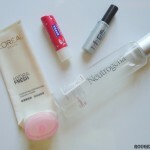 Sometimes when you don’t want to go to the salon or you don’t have time for that, its an easy fix at home!! 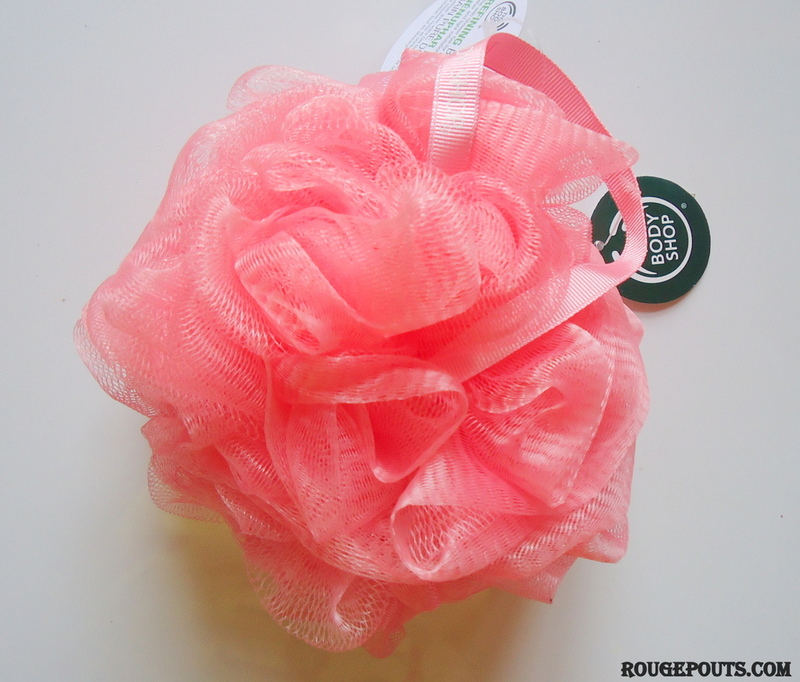 I have been in love with The Body Shop Loofahs!! My earlier one is now shredding so I got another one and its in this gorgeous pink color!! I love it!! It majorly depends on your loofah on how a body wash or shower gel performs. Bad quality loofah wont make the shower gel lather much, but a good quality loofah will help lather up the same body wash awesomely!! 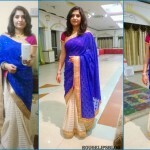 I got a few Kurtas for summers, my old ones have been discarded and I was left with none! 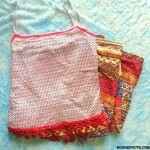 Kurtas are great to wear in summers either with denims or jeggings or leggings. So I got three! 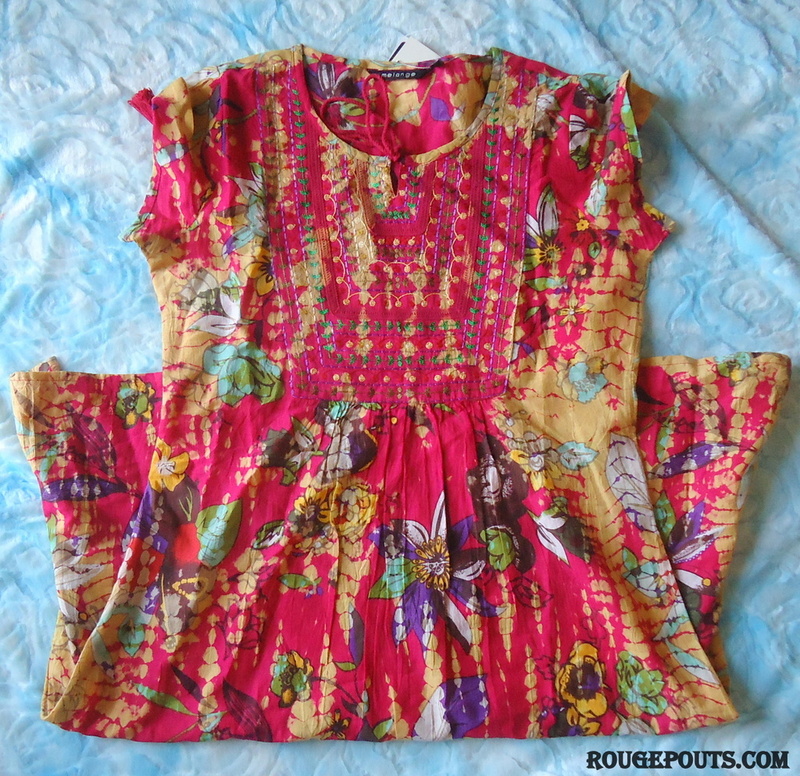 The first one is the a sleeveless multicolored floral print kurta from Global Desi! 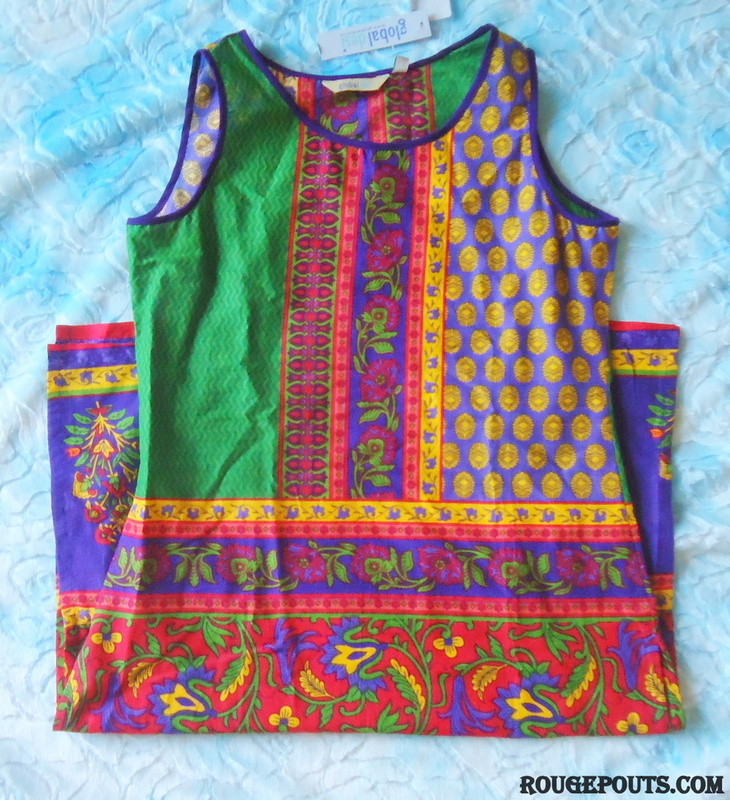 This next kurta is a short sleeved one and is also multicolored. It somehow seems that the colors are pastels. This one is from Aurelia. 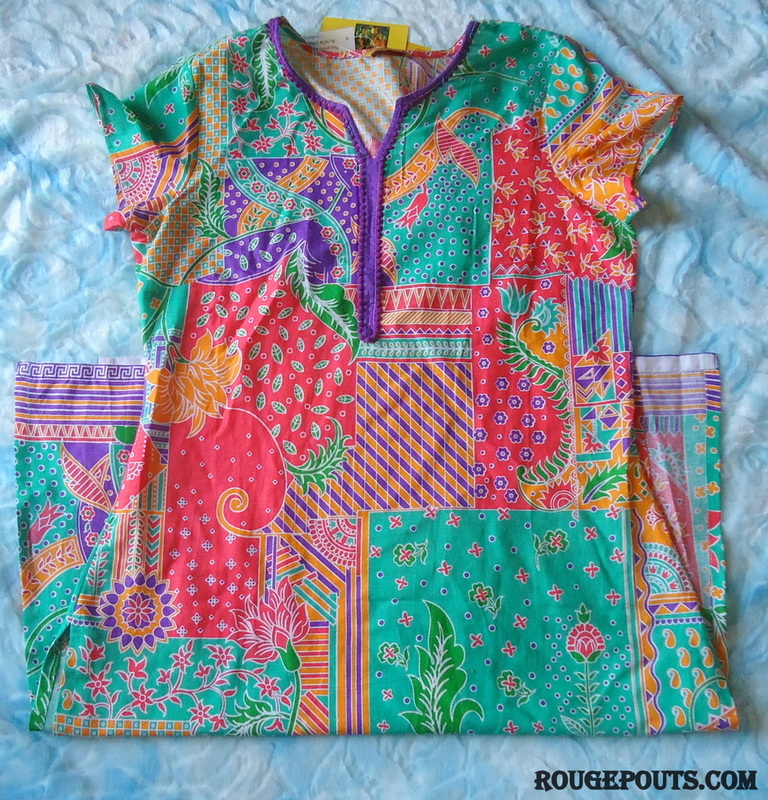 The last kurta I got is a short sleeved one again and is in combination of floral print and Bandhej work. It has a little embroidery in the front and has a little flare. 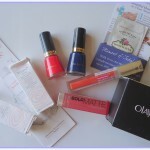 This one is from Melange. To go with the kurtas I got a pair of leggings from Melange. One in deep purple and the other in green. 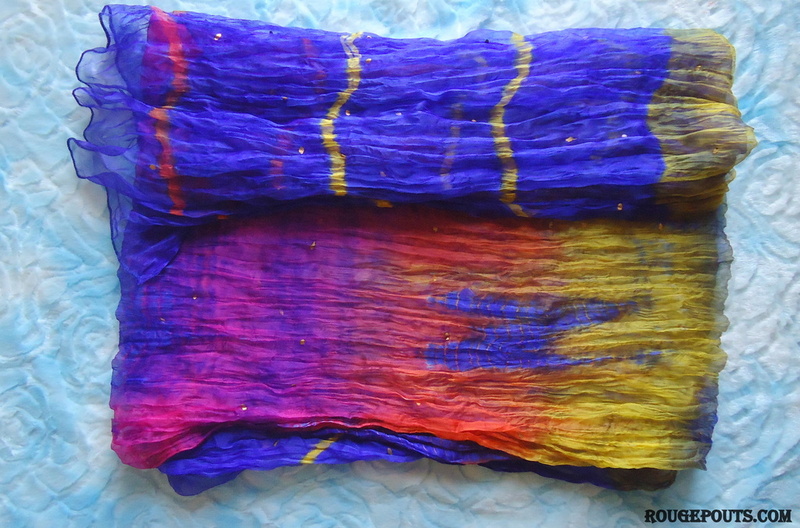 I also got a multicolored bandhej dupatta stole from Melange. The ends of the stole color are cobalt blue and in center it has a lot of colors! The stole also has a few sequins embroidered on it. I did not purchase the next item. It was a gift from my brother-in-law’s wife. 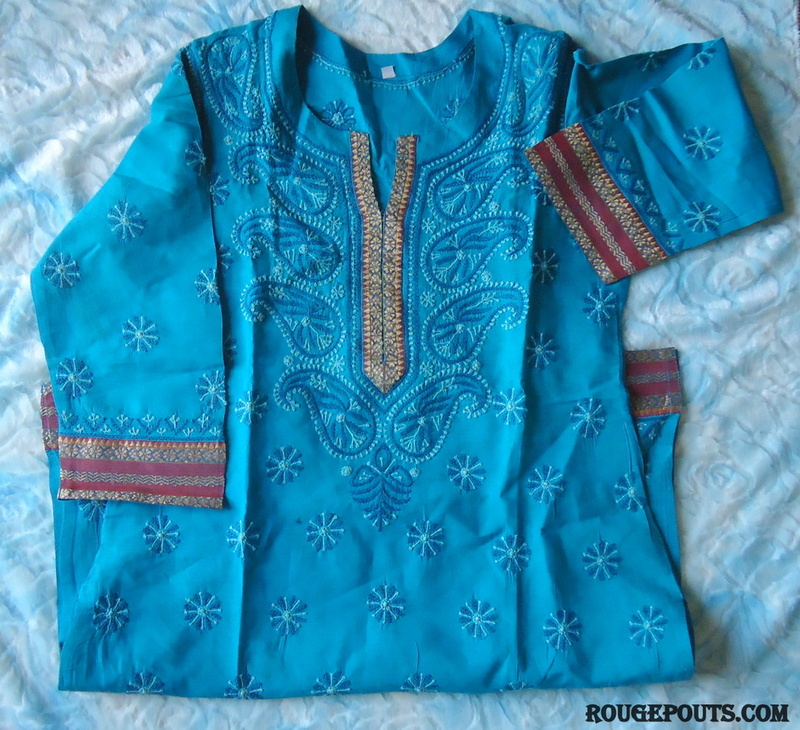 She got this blue colored chikan embroidered kurta from Lucknow. 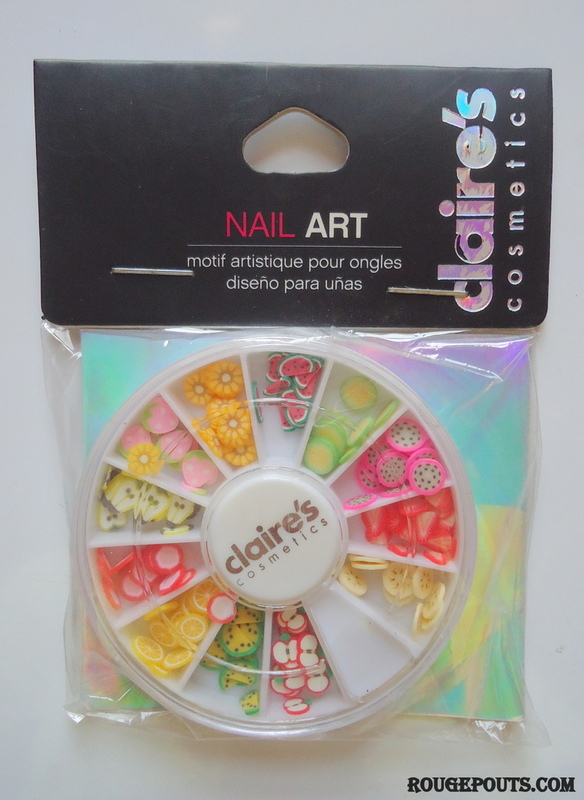 I love my next purchase that I am going to tell you! 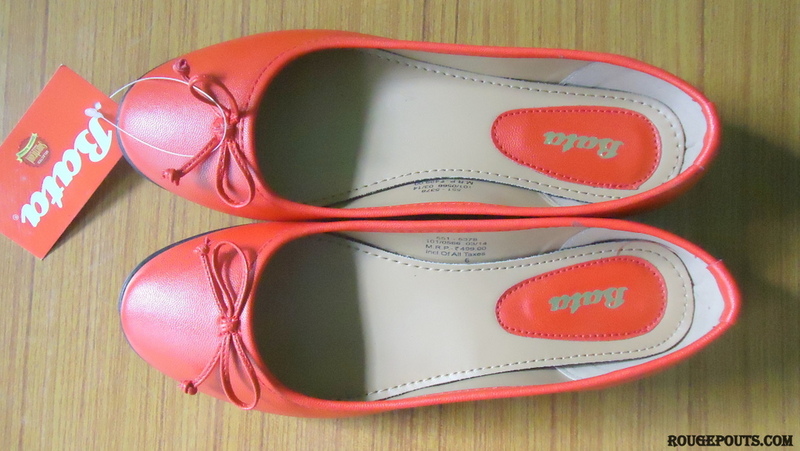 I got these OH SO PRETTY ballet flats from Bata. They are really comfortable, lovely red in color and a bonus point, it has a bow!! I super love them!! I got a shoe bite at the back of my ankles initially, but now its okay. I was also looking for some cute slip-ons for summers. 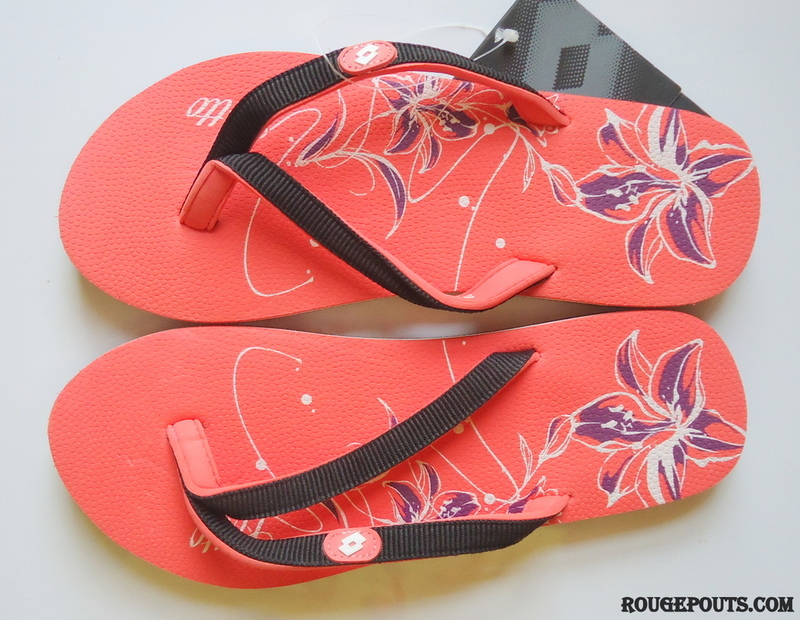 I found these gorgeous pair of coral printed slip-ons in the Lotto store. I loved them so much!! They are very comfy and the color is so pretty!! So here comes an end to my huge summer beauty, skin care, footwear and clothing haul!! I will be back with a lot more posts! !